LMA15 tyres have outstanding levels of water drainage that make them brilliant for handling wet conditions. This allows you to always keep control of your vehicle and avoid aquaplaning and skidding, and this confidence in your driving and tyres lets you enjoy your journeys more and get the best performance at all times. There’s no need to compromise on quality when choosing tyres and that’s why Infinity tyres are a great choice of high quality products at great prices. 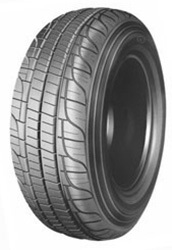 Choose LMA15 tyres for your car for fantastic results.